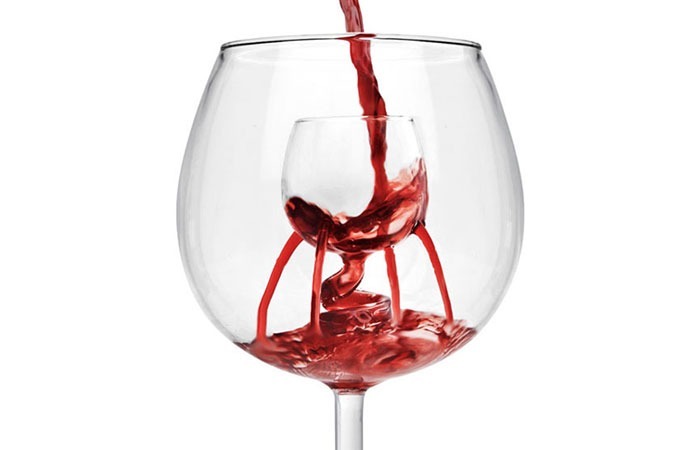 Rather than pouring wine into space-wasting decanters or fussing with on-bottle wine aerators, just pour your wine into the inner cup of this cool new Trevi Aerating Wine Glass and watch as it passes out through nine aeration spouts, effectively infusing it with flavor and aroma releasing oxygen. 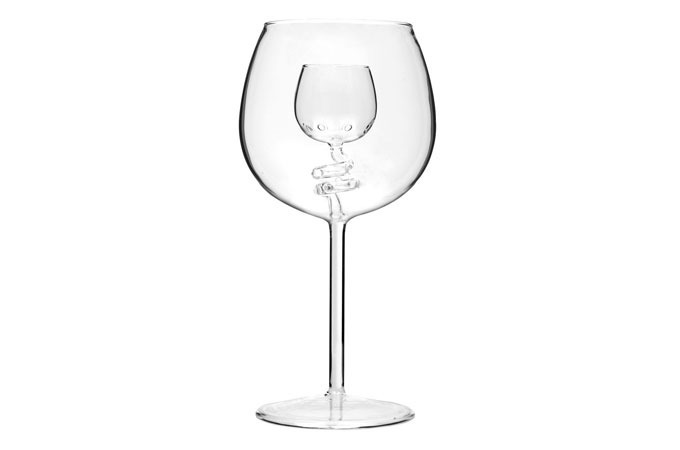 Its fountain-like aeration platform not only makes this glass uniquely interesting, it simply makes each sip of wine more of a pleasure to the senses. Makes a great gift and solution for wine connoisseurs or anyone who wants to truly enjoy their favorite red wines.